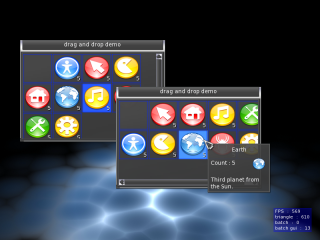 This release contain various minor fixes in MyGUI engine and tools. Fixed mouse events incorrectly going to the widget below the ComboBox when clicking on an item. Fixed few problems with boost finding when building MyGUI.OgrePlatform. 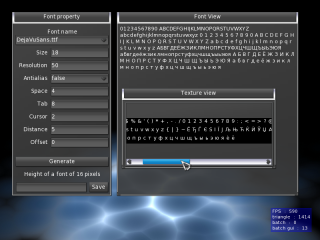 This release contain huge improvements in Tools and various minor fixes and features in MyGUI engine itself. MyGUI switched from LGPL to MIT license for pretty much same reasons OGRE did a while ago. Also we moved to GitHub and ready to accept your pull requests . Significantly improved and redesigned tools. Some additional events (widget moved/resized, clipboard requested/changed). 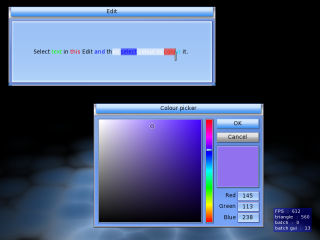 Possibility to set fixed child widgets rendering order (feature is not fully completed). Various fixes and additional API methods. Decreased texture memory usage (typically by 50% or more). Added support for Windows FON/FNT bitmap fonts and for embedded SBIT bitmaps in TrueType fonts. Added support for overlapping glyphs. Simple text shadows added (optional). Full FontViewer support to load and create new fonts. Added a new SkinEditor tool. Improved the LayoutEditor and FontEditor tools. Made lots of other improvements and fixes. This release contain few fixed bugs, changed license and improved CMake scripts. No API changes was made and this release is highly recommended for those who previously downloaded MyGUI 3.0.0. Changelog. We also decided to add small exclusion in LGPL for static linking (details). rendering separated from core, we also implemented pure DirectX and OpenGL renderers in addition to OGRE render. For a detailed list see changelog. This is bugfix release aimed for those who use 2.2.2 and not using MyGUI from trunk. Strongly recommended for update. You can download source package here: MyGUI 2.2.3. We have made lots of changes in upcoming MyGUI 3.0 and we working on it very active, but still not ready to release it, so we decided to update current release. What’s actually pretty. Here we’ll place announces and some docs about MyGUI architecture.